Sotones Records protégé Anja McCloskey announces her very first US tour to promote the release of her EP “Turn Turn Turn”. The half-American, half-German accordionist singer-songwriter, who is based in Southampton, is going back to her roots, taking her band on an eight State tour through Minnesota, Wisconsin, Illinois, Michigan, Missouri, Kansas, Nebraska, Iowa and Indiana. The tour sets off on Valentine’s Day in Minneapolis and will conclude on 24th February in Bloomington, Indiana. It was organised with the assistance of US-based label Series Two Records. 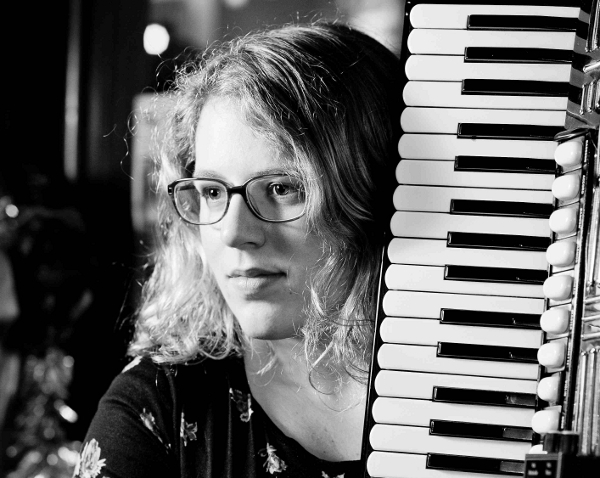 Multi-instrumentalist Anja has already gained a raft of experience playing with the likes of ten-piece performance orchestra The Irrepressibles and folk-rock trailblazers, Haunted Stereo. Her first solo EP “Turn Turn Turn” was recently released on Sotones Records to great critical acclaim. Playing on tour with Anja will be guitarists Andy Harris (Haunted Stereo) and David Miatt (Thomas Tantrum), as well as violinist Mikey Kenney (Ottersgear).